Alustyle and Intertego, two flexible series of BOPLA aluminium profile enclosures have been release by Rubin Group . 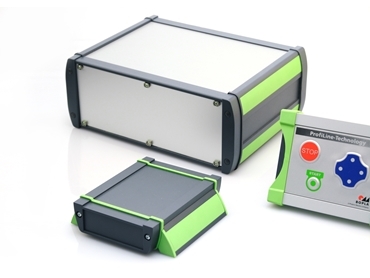 These aluminium enclosures come in all sizes and are best suited in measurement technology, mechanical engineering and automobile manufacture sectors. Both series of aluminium enclosures stand out due to their standardised clear appearance and the identical concept of colours and accessories. Being highly identifiable also adds to high levels of recognition on the market. Alustyle is primarily used for applications in the small and medium-sized segments and Intertego is often used to house products with larger dimensions and 19" technology. Both series of enclosures offer multiple opportunities for processing and servicing, all of which can be carried out in BOPLA's factory.